@MattHaze: "Watching people play ping pong at @BryantParkNYC is more entertaining than 50% of the shows currently on TV." We couldn't have asked for a better tweet to kick off our 2011 ping pong season in the park. Thanks Matt! 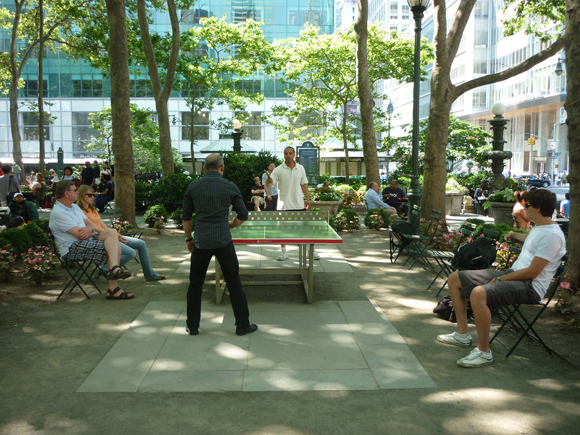 Sign up with the ping pong attendant in the park for your turn to play at our state of the art tables, for free. Balls, paddles, and people watching included.